100% open source, 100% support. Go live with confidence. Open Liberty is built on a foundation of Java EE and Eclipse Microprofile and lets you run only the features your app needs. 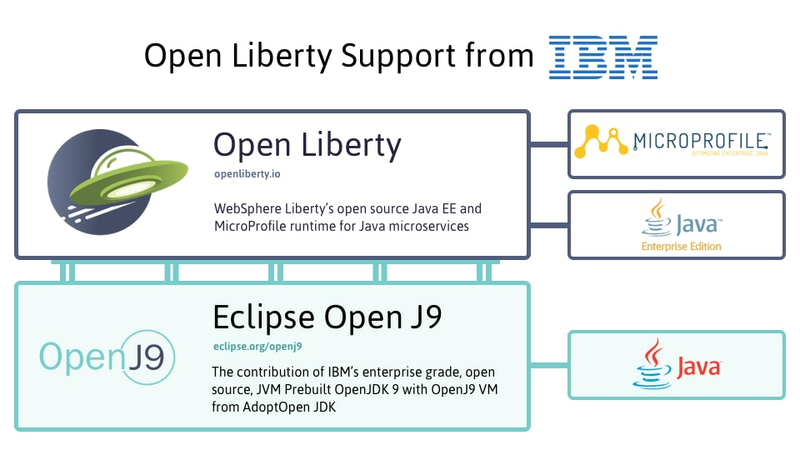 In addition to support for the open source Open Liberty runtime, Open Liberty Support also includes support for Java EE, Eclipse Microprofile, and Eclipse OpenJ9 JVM when used with Open Liberty. Support for Open Liberty gives you 24x7x364 access to IBM’s world-class support and the development team that created Open Liberty. Open Liberty is the most flexible server runtime available to Java developers. Work at lightspeed in a lightweight environment and build cloud-native Java apps and microservices. No transition from open source version to supported version of the product. Write once, run forever! Open Liberty doesn’t require a specific JVM implementation. If you run on the Eclipse OpenJ9 JVM you benefit from improved performance, memory footprint and support.